Good news all around for 2DS and casual fans! 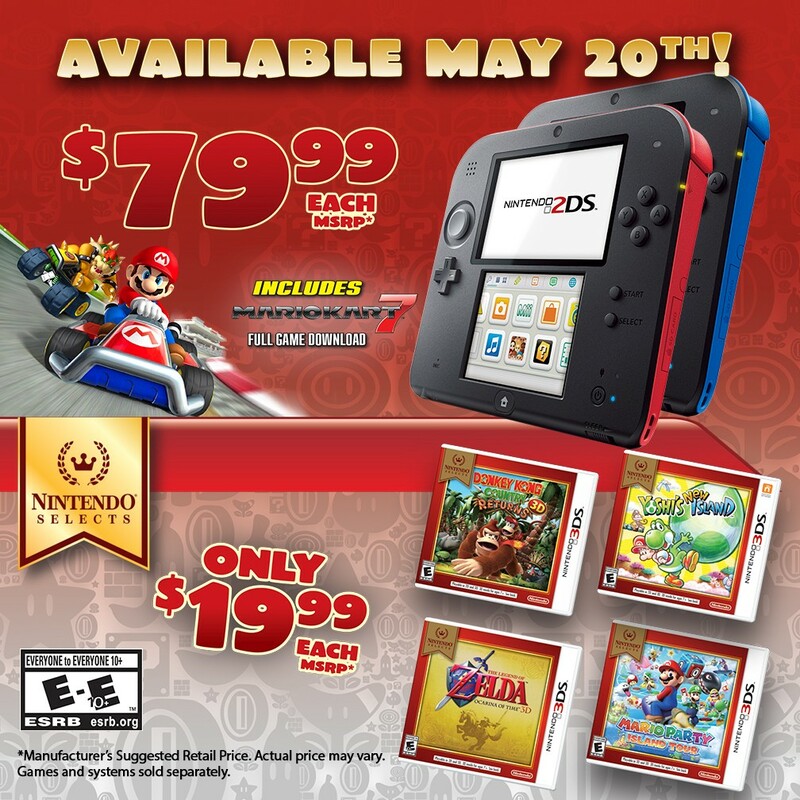 Nintendo is officially dropping the price on its adorable 2DS handheld from $99 to $79 starting May 20, and to celebrate the fact there's even Mario Kart 7 preinstalled on several of the systems. It's great news if you've had your eye on the device since its 2013 release. And as someone who's almost exclusively enjoyed games on the 2DS for the last couple of years, it's got the kind of heft and shape you'll really enjoy, so it's worth picking up. But that's not all Nintendo has up its sleeve. There's two additional game releases coming with the price change later this year, and there's big ones, especially if you're into Disney Magical World or the Style Savvy series. Style Savvy: Fashion Forward is actually the third entry in the Style Savvy series and it's releasing on August 19. Instead of jumping into the shoes of a fashion connoisseur you get to choose between five different professions, with over 19,000 different clothing items and accessories. This time around amiibo get in on the action as well. You can tap certain figures to your system to get special accessories and items, and that's basically reason enough for me to buy it because obviously Nintendo-themed clothing is a given. Disney Magical World 2 is also hitting on October 14, and it's expanding further on the worlds already offered in the original game. The world of Frozen will be included as well, and players will be given opportunities to interact with Disney characters with special Magical Dream events. This time around there are 6 different Disney-themed worlds to explore.